Federal law regards severance pay as a matter between you and your employer. 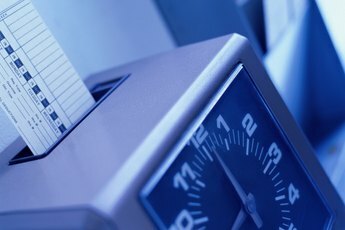 A few states make severance pay mandatory to a limited number of employees, such as public workers, or during certain situations, such as plant closings. Whether severance is required or optional, your employer must adhere to specific tax requirements. Severance pay is supplemental wages; it is not regular wages. Payment is made upon or after your departure from the company instead of for services rendered in the present payroll. The amount of federal income tax that is supposed to come out of your severance depends on how payment is made. If severance is paid with your regular wages, it would be taxed as though it were a single payment for your regular payroll; your normal federal income tax withholding rate applies. If severance is paid separately from your regular wages, your employer may withhold at a flat 25 percent. If your severance pay exceeds $1 million for the year, the extra amount is taxed at 35 percent. Normally, Social Security and Medicare taxes, also called FICA taxes, are due on severance pay. Contact the IRS for clarification, as whether FICA is due on severance might depend on your state of employment. If applicable, as of 2012, calculate Social Security tax on severance pay at 4.2 percent, up to $110,100 for the year. Figure Medicare tax, which has no wage limit, at 1.45 percent. The wage limit for Social Security tax applies to all of your earnings for the year. If your severance pushes your wages over the threshold, do not pay any Social Security tax on the excess amount. If applicable, contact the state revenue agency for its taxation rules on supplemental wages for state income tax purposes. 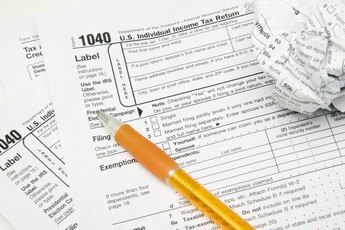 The state might require a flat withholding percentage or an aggregate method similar to federal income tax withholding. As an example, as of 2012, in Pennsylvania a flat withholding amount of 3.07 percent applies to both regular and supplemental wages. In North Dakota, though, a tax rate of 2.82 percent applies if severance is paid separately from regular wages; otherwise, you would use the aggregate method. If you were fortunate enough to negotiate a gross-up agreement with your employer for severance, it pays the taxes due so you receive the entire severance amount. Your employer must give you an annual W-2 that includes your severance pay. Your taxable severance should be included in Box 1 of the form. Come tax time, you shouldn’t owe any taxes on your severance since your employer already withheld them or absorbed the costs. 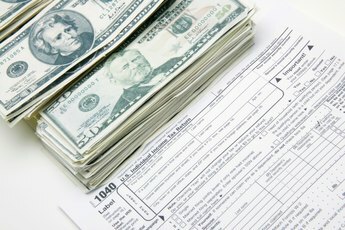 How Much Taxes Are Taken Out of Bonuses? Does Your Severance Pay Count Towards Putting You in a Higher Tax Bracket?